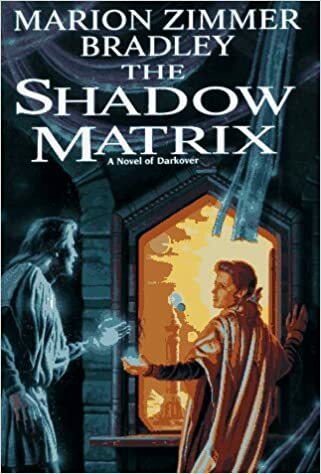 The Shadow Matrix quickly follows Exile's Song in the Darkover series. Mikhail and Marguerida are still trying to wed, but no one on the planet seems to think that's a reasonable thing to do. 500+ pages of adventures are had, and, predictably, love wins. Here, as in Exile's Song, Bradley explores of themes of feminism within heterosexual society and marriage. She also seems to have had it with know-it-all, emotional, self-centered young folks. Well, she indulges them, but she points out their youthful passions. You are still young, and very judgmental. There are lots of direct and indirect quotes like that one. I'm not here to criticize that sentiment. As with most science fiction writers, Bradley also includes commentary on politics, this time an expansionist movement among politicians of the Terran Empire. They're greedy, selfish, intellectually bereft, and don't know their own evil.